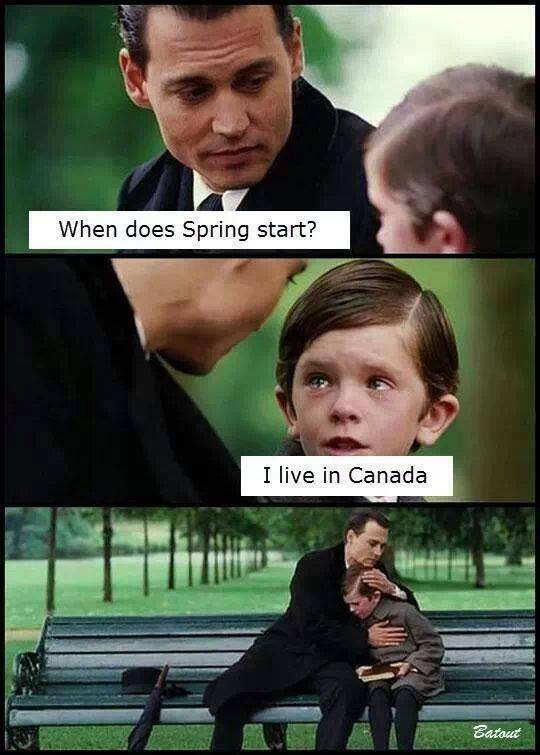 It has been such a long winter, too long really. I lost the will to shovel three snowstorms ago. And no matter how hard I tried trudging through the snow to go sliding lost its luster really quickly. I am so ready for Spring, and thankfully according to my calendar Spring is here as of today! Of course we shouldn’t get too excited this is Canada after all. I don’t really trust Spring until May. Even then I am anxious that Winter will take one more swipe at us on the way out. Still Spring is on the way, there are signs everywhere that we have survived another winter. For example about a week ago I noticed ladybugs on my kitchen window. The sun must have warmed the window up enough for the eggs to hatch. Now every time the sun hits my kitchen window just right I see another lady bug or two. Also just this past Saturday night while I was working away in my office I was visited by some ants. I am not normally a big fan of ants zipping around my desk, but I decided I would accept this as another sign that Spring is coming. It can get a little depressing waiting around for that nice, warm, sunny day that boldly declares that Spring has arrived. So why not until then we make a little game out of looking for small signs that Spring is on the way? Why don’t you play ‘Spring Bingo’ with me? 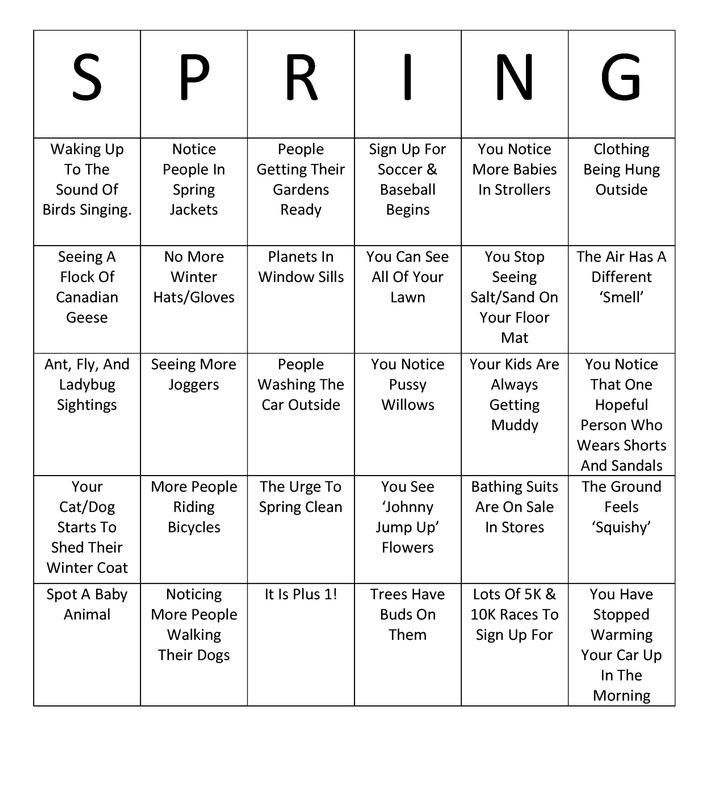 Every time you see a ‘sign of Spring’ mark it on this game board, and before you know it Spring really will be here. And maybe just maybe if we keep track of each little sign that Spring is arriving it will give us hope when we see, ‘-7 and a chance of flurries’ in the forecast. 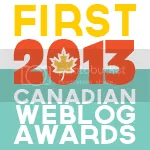 This entry was posted in Holidays, Hot Topics. Bookmark the permalink. -I CAN SEE ALL OF MY LAWN! -And races to sign up for! YAY! I don’t have a bingo yet. Winter is still holding tight. Oh man I would be doing a dance of joy at 60. It is -17 here today. Nope. Not happening. That is just not natural! I really hope that Spring eventually shows up up there!